All Riptide Spas feature exclusive jet designs. 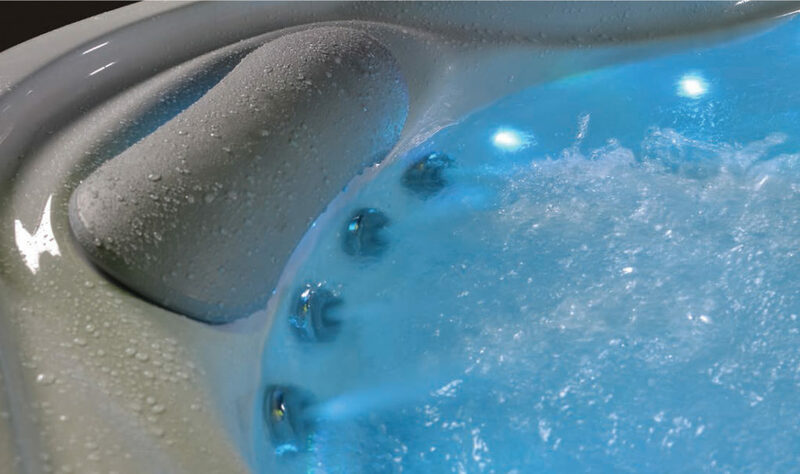 The jets are fully adjustable, allowing you to create the perfect balance for yourself, from a gentle, soothing massage to powerful and intense hydrotherapy. A Riptide spa works like the healing hands of an experienced masseuse. Each jet is individually adjustable to allow you to obtain the right intensity to melt away your aches and pains and can be positioned perfectly to loosen the tightest knots in your neck and shoulders, lower back, legs and feet. Large rotary jets massage your upper and lower back. The neck jets act like fingers working on tight shoulders; the strong foot jets deliver relief to your feet, while the midsize jets help the circulation in the backs of your legs without being too rough. This is the Riptide experience. To help ease tension and soreness, many of the massage jets rotate and pulse, and with plenty of room to move about in your spa seat, you can position the jets where they are needed most. Sore feet? Many of the seating positions feature jets which deliver the ultimate foot and leg massage. Multi-height seating in most of our range is perfect for both adults and children. Computer-aided design of the interior means the jets in a Riptide spa will be just where you need them – you’ll feel the comfort and support straight away, and your journey to ultimate relaxation will have begun. 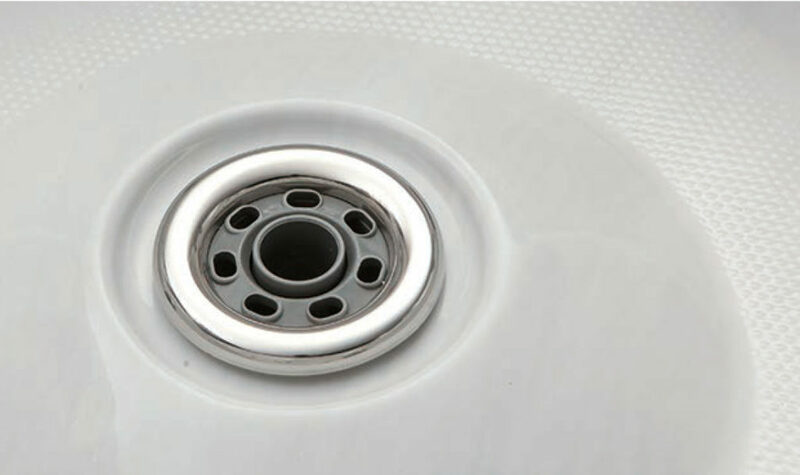 Customise your spa experience – each jet can be turned on or off by turning the jet face either clockwise or anti-clockwise. The power of each jet can be adjusted by turning the bar top controls. To make the massage firmer, turn up the control to allow more air to join the spa water, turn down to create a softer massage. 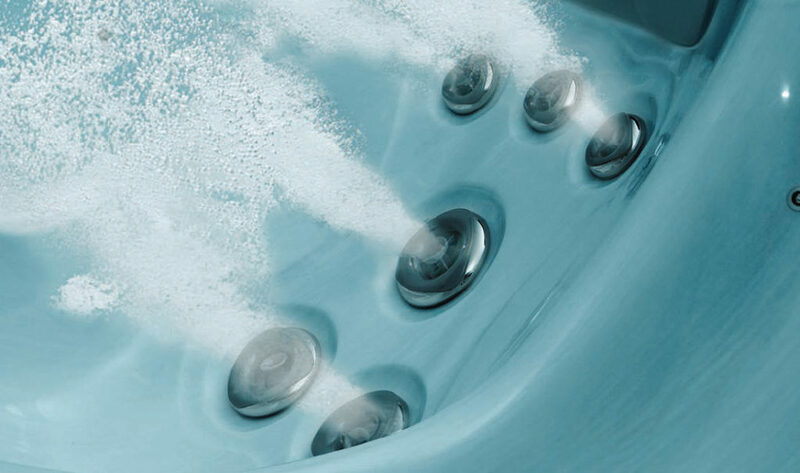 Smooth contours and gently supportive seats allow the flush-fitting unobtrusive hydrotherapy jets to work their magic whether you are sitting or reclining. The Volcano jet, which is available on some Riptide models, is designed to increase circulation in your feet and lower legs. Either share with friends or keep it all to yourself! On selected models you will find a line of four directional Quad jets, perfectly positioned to relax those tight neck and shoulder muscles. Each jet can be individually turned on and off and the power of all four can be adjusted with the air control.